Every time you perform a spring cleaning of your home or at the office, chances are you would come across families of dust bunnies. Hundreds of them, as they reside behind and under the myriad of furniture in your possession, in addition to creating new colonies behind the computer, nestled among the cables. Well, here we are with something that gives the bunny a better reputation – the $25.99 Desk Bunny, which will be there not to mess things up, but rather, make your work space look a whole lot more organized. 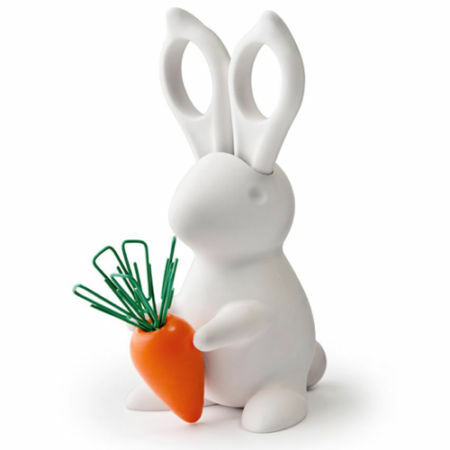 The Desk Bunny Scissors and Clip Holder will ensure that your scissors and paper clips remain neat and tidy on your desk!